I’ve been involved in shidduchim for longer than I want to admit – as a shadchan. I observe some boys and girls committing within the first five dates, and others still looking for a shidduch five or more years later. I don’t think anyone feels that those who committed within the first five dates were very lucky and found someone they clicked with quicker than those who keep on looking for years. My mother a”h always said, a shidduch is bashert, but you have to do your hishtadlus and be open-minded or you can push away your bashert. I see boys in shidduchim, who in their older thirties are still looking for certain type of families, even if the girl, by their own admission, is just what they are looking for, even if the family type isn’t so different from their ideal. I’ve seen girls who in their thirties are looking for a with-it guy, while these girls look and dress like seminary teachers. I’ve heard of ‘good’ boys who speak of inappropriate topics on dates, and they will get rejected, no matter how many times they get reminded not to. I’ve heard of girls spending the bulk of their dates talking about the shiurim they go to and how they love their rebbetzins. These are just examples of my theory below. I have many others. I think some people are behaving and thinking in a way that prevents them from getting married, because deep down they really don’t want to get married. It’s their subconscious tactic to stay single. I couldn’t agree nore with this letter! Many of the people out there who are not married simpyl do not want to get married. to get married, you need two things: you ahve to really want to get married and you ahve to be willing to compromise somewhat, no matter what age you are, even if you are 20 or 21 or 22, and no matter if you’re a male or female. They do want to get married, but they are also afraid of getting married. They are normal human beings. Don’t label them. How many boys in their thirties does the author know? How many girls in their thirties does the author know. What exactly is the author implying about the girls described in this letter? While I agree with the premise that singles certainly need to be open to compromise (as they will in married life) I am surprised by the offensive tone in which girls are described. Is this your way to stir up controversy? There are some who might fall in that category, any many who don’t. By slinging mud at them, does nothing other than take away your own guilt for not trying to help them more. If you know someone in that matzav personally, then you might want to suggest a new outlook with tangible suggestions, not “you just don’t really want to get married”. Many times it is comparing to another previous date who had better/different maalos, which is a real obstacle to overcome, escpecially when one only remembers the good qualities in the other person, they create “a good monster”. I have much more to say on this topic….unfortuanately, I don’t delve enough into shidduchim as I should. OK Ok….One of my ideas is for each 30+ to have a (married , saichal hayoshar)friend be their dating coach. And all shidduchim run through them, to have to speak over each date with them, to get clearance from the “coach” to end the shidduch…I feel that could be very helpful, to keep the dater focused and serious about each date they have. ( I did it with a couple of people and it worked, not even because of me, I believe because of the focus the dater was giving each situation). Sorry but i cant disagree more. Is it at all possible that someone will not find his/her ‘basherta’ within the first few years of searching? Anyone who’s been involved with shidduchim can tell you an endless amount of personal stories that they clearly saw the ‘Yad Hashem’. Only a non-believer can say that being too picky or saying the wrong thing at the wrong time is what messes up a shidduch. If you realize that every shidduch is a miricale on its own that all the party’s involved said the right thing at just the right time…. Mamish open nissim!! I’v personally seen picky boys and girls, that many people involved with their shidduchim said that they are looking for “a girl/boy that has not been born yet etc…” get married, and I’v been witness to people that really took the whole shidduch scene easy and just tried to get married, but are still on the market. No your theory is not wrong but your hashkafa and outlook on what your role as shadchan is, is very wrong. More than you can count on your 2 hands! Their head is in the clouds, many times through their parents’ unrealistic view. who cares how many?… whats ur point? sorry to burst everyone’s bubble. The amount of older girls to older boys (by the authors own admission on a different blog) is 5-1. Clearly every individual boy who is older is in pain. this is 100% NOT the shidduch crisis. By and large the boys get married, and they get married very quickly. Less than 2% of the boys in BMG (for example) reach 27 single. As for the girls … it’s an absolute tragedy. with this in mind I will go on record as saying that redding shiduchim to sem girls who will coming home in the next couple of weeks (age 18-19) is a big avla. Doing so will undoubtedly perpetuate and exacerbate the crisis! The reason for the shidduch crisis is that people are too picky and also that yidishkeit has gone so to the right that it is very hard to meet on the own since their are mechitzas everywhere you go. In the times of Rav Moshe Feinstein and Rav Yaakov Kaminetsky there was mixed seating and frum weddings. 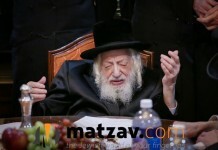 we need to focus on way to solv e the shidduch crisis instead of worrying about Lipa Shmeltzer. You may be a SHADCHAN, BUT you don’t know the first thing about the pain of shidduchim. I wan to see you write such a letter after your own daughter has a hard time getting one date. You wil be singing a different tune!! Good Luck1 You owe us all an apology. This is a foolish overgeneralization and is cruel to those people who are finding it very difficult to find an appropriate shidduch, especially for the girls who struggle far more than the boys do to be spoken appropriate shidduchim. Much more can be said, but the writer of such a letter is a fool. That such a fool is a shadchan helps explain the shidduch crisis. Ive heard of girls spending the bulk of their dates talking about the shiurim they go to and how they love their rebbetzins. Could someone please explain the issue here? I would love a daughter-in-law with a good hashkafic grounding. Am I missing something?? If you’ve rejected others, more than you’ve been rejected, and you went out with more than 50 people, you’re your own problem. If you’ve been rejected more than you’ve rejected others, and mentors (like Rabbonim/Rebbetzins)have given you advice that you don’t accept, your your own problem as well. If you are putting in effort, asking for advice and implementing it, and still getting rejected more than rejecting others, you’re innocent and can’t be blamed for your state of singledom. Sorry, have to disagree with you. A shidduch does not happen until the right time, and while there are certainly self-defeating behaviors among some boys and some girls, if a girl is meant to get married at 25, she has not been dating for the last 6 or 7 years just because she “didn’t want to get married”. None of us knows the Ribbono Shel Olom’s plan. You have to love anonymous letters from “experts” and “shadchonim”. Proof to this self-proclaimed connoisseurs theory is that young women who want “with it” bochurim” dress like “seminary teachers”. Is HaShem anywhere in this “shadchans” picture? Does He want Jewish daughters to dress down ? “With it” is a term that reasons differently with each individual. As such, “with it guys marry “seminary teachers”. And while no one should speak stupidity (or write it, for that matter! ), if he’ll hide it for a date or two… his personality will emerge eventually. Do you feel people have to adapt your life-style to meet their bashert? Dear letter writer, kindly look into the mirror and do some deep soul searching to uncover why you need to knock the downtrodden to make yourself feel good. Yup. The older single weighs in again. Shadchanim such as this article-writer are the problem. I was trying to redt an older boy to a girl, and a shadchan told the girls that he was “the most self-absorbed guy ever”. I suppose because he didn’t marry who the shadchan had suggested. This guy did hours of Chesed that no one in his community knew of — but now, on the market, his name is followd with “self-absorbed”. The Lashon Hara I have heard back from Shadchanim about myself is endless. Listen up, Shadchanim — Penina lost all her children for harming Chana with her words and attitude, even though she had the “best of motives” in torturing Chana. You might say you write these articles, or spread these tales, or make me cry every time we speak, for the “best of reasons” but Ona’as Devorim is a real threat to YOU. Rethink your words before engaging mouth. Are you one of those people who have been saying “I don’t feel anything” for the last five or more years, to which R’ Frand has replied- If you want to hear bells, go near a church. You may be a SHADCHAN, BUT you dont know the first thing about the pain of shidduchim. I wan to see you write such a letter after your own daughter has a hard time getting one date. You wil be singing a different tune!! I agree with you one billion percent I am a girl in my twenties and let me tell you it is very hard to get a date with a good normal boy if you are not a billionare,have lots of yichus,or have tons of family. There is a nother problem that I would like to address-and that is the problem with boys in BMg disscusing the names of their dates with other boys.That is lashon Hora and completley not fair.I may talk about some of my dates but I would never mention any boy’s name.It’s a disgrace that there are boys who go into a room and announce does anyone know__________ has anyone dated her.That is not right- every person has a differnt dating experience -yes even with the same person-Just because one boy things that a girl is quiet another boy may think that she is loud.Maybe she was more quiet on a date with you because you may have said something that was innapropriate or maybe you acted agggresive on a date! Yes. Most boys want to marry a wife not a clone of a Rebbitzin. Hey AZ, could you offer some guidelines on when girls should come out of the freezer? What about girls who didn’t go to day sem but only night sem and are now trained and working? Looking forward to an answer. I feel for you, I should have come out with my honest feelings- I blame the guys MOSTLY. In my humble opinion, by and large, it’s the scarcity of “good” guys, and the “good” guys’ egos that is the problem behind the problem. Generally, older single girls are just waiting for one normal good guy, that they’ll click with. Because of the law of supply and demand, too many boys have become swollen Gaiva-heads, having not all that much to offer and demanding a lot, and usually getting it in the end, and more. My letter just had some observations, but again, by and large, IMHO, its the scarcity of good guys causing the problem, enabling them to demand and get whatever they want. As a mother of a single girl, this letter is very painful. I’m sure there are some people that are this way, but by writing a letter about it, you are making it seem that a large amount are this way. 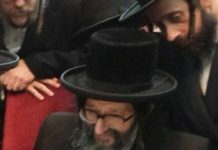 Let’s not forget that together with the shidduch crisis, there is also a rise in broken engagements and divorces. At least some of this happens because people are so afraid of remaining single that they compromise and compromise. Remember, there is a limit to how much to compromise! Compromise too much and, of course, you’re stuck in an inappropriate shidduch! No, actually, I am happily married for many years. B’H I married the right one at the right time, but have sympathy for people whose “right time” comes later. And in all this, you seem to be overlooking bitachon, that things happen for a reason, even nisyonos. If you guys would stop talking, and deny access to your INSTANT datatbase of girls, MAYBE more girls would have a chance out there for marriage. You are to blame! I surely do, but I’ve seen my share of (mostly guys) who are going through the motions and don’t really want to get married. Are you telling me, none like that exist? I agree that talking about girls is sick. i dont do it myself. But lets be fair, put 300 girls on the market in one building and see if they dont talk about guys! Letter writer feels that there are more’good’ girls than ‘good’ guys. aha! Do you think one day one gender decided that they are all gonna be ‘bad’? Nope . Its just that until now girls understood that men have different Yetser haras then them and they were open to working with it .Now girls decide how good they are based on how INTOLERANT they are.Shes a good girl cause shes looking for….. Wait a minute….. She is good because shes looking for a learner? and the guy doesnt wanna learn so hes not good enough? Am I better than the chef in Prime grill If I dont Like the steak? Your not the one learning so why are you good?! Everyone has a Yetzer Hara. It’s how you control it that makes you good. No one blames anyone for what they’re thinking privately, only what they do or don’t do. This goes for boys and girls. And IMHO guys get away w. alot of stuff, that girls wouldn’t- like boys who “bottel” when they should be learning. If a girl is not progressing w. her education, job, etc. she’s out of the race! Boys only have to walk the walk and talk the talk, and they do great. Boys rarely get farher’d anymore.